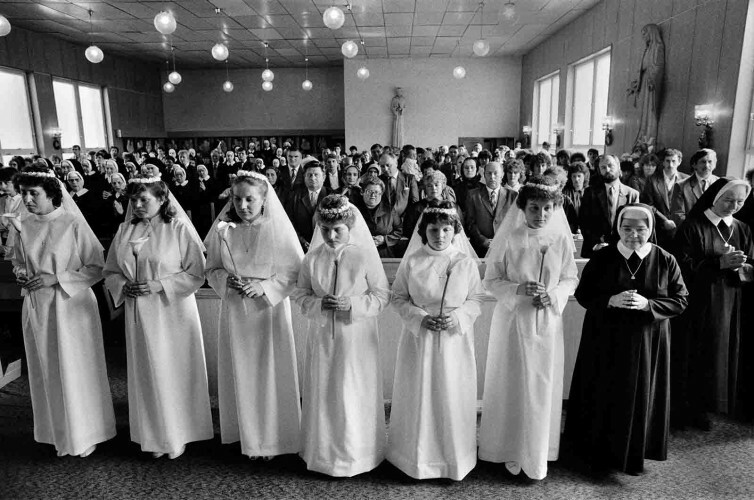 The theme of religious events, rituals, pilgrimages, spiritual liturgical meetings or religious celebrations always correspond with the contexts of strong and traditional survival, which is ethnographically, geopolitically and historically proper to Slovakia. 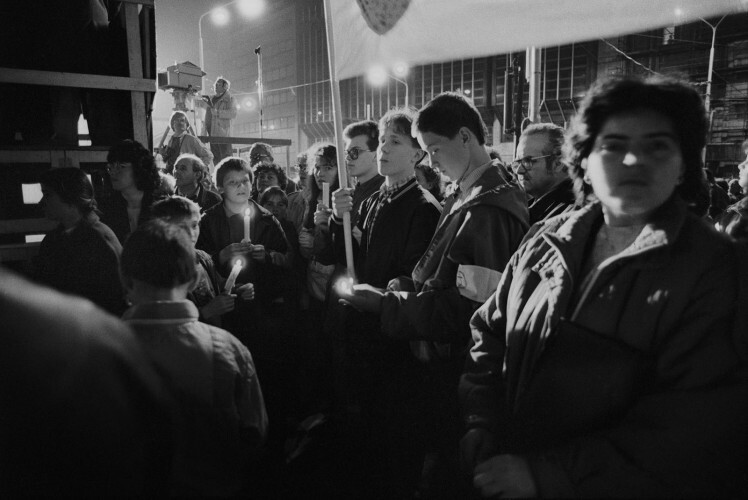 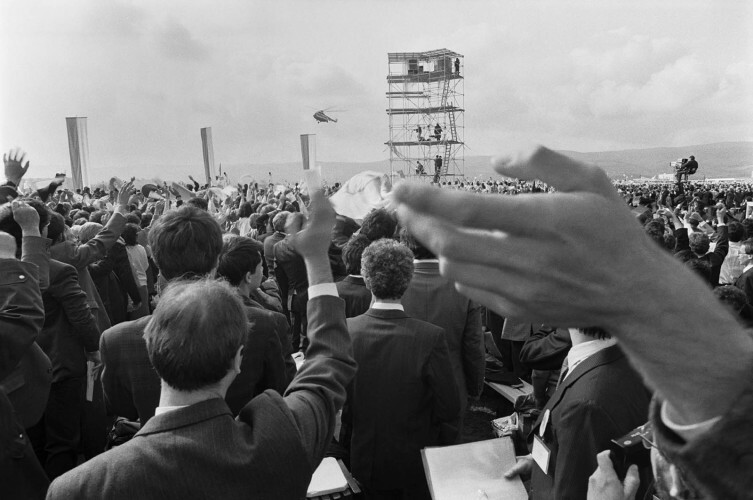 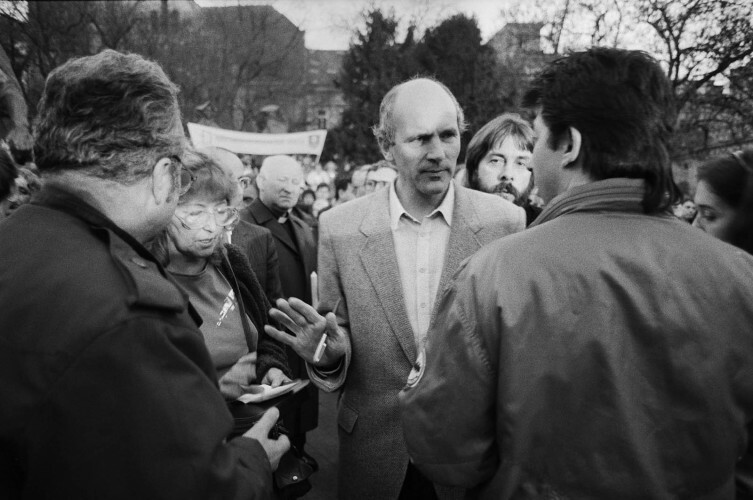 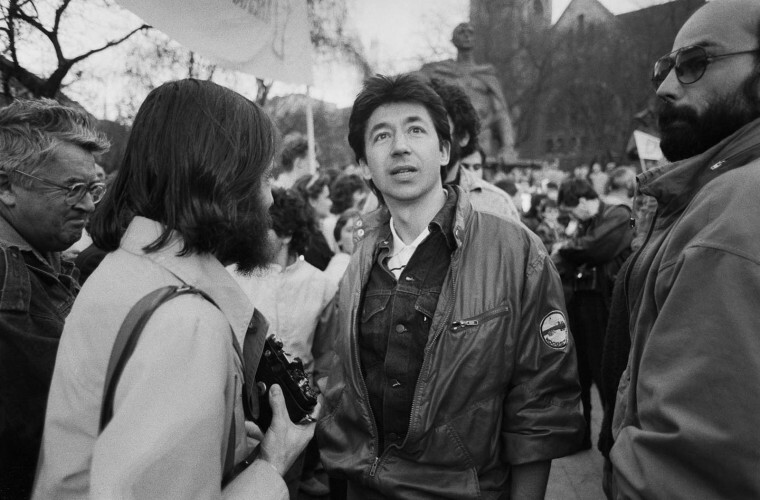 When I documented these events, I always saw in places a very strong moment of seriousness of the spiritual survival, of mysticism, and in the time before the November 1989, a strong personal testimony and political defiance. 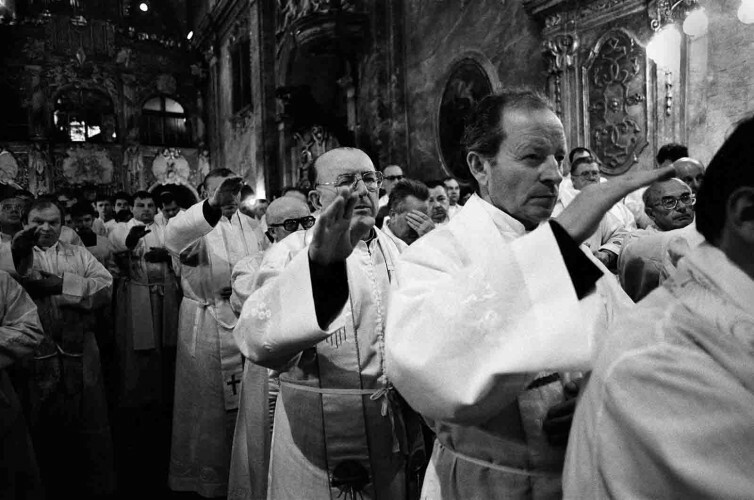 At the same time I similarly intensely perceived also the humane and physically demanding dimensions of religious activities in which the man was forgetting about the outside world, and in the emotional spirit he did not hide the authenticity of his identity and of social status. 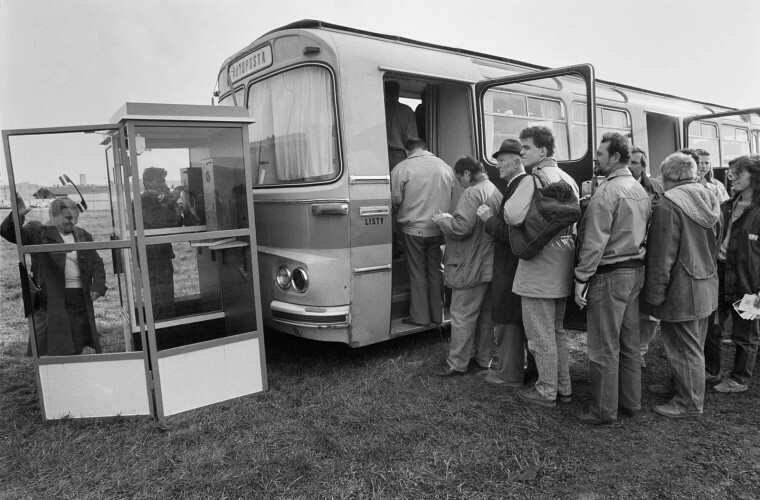 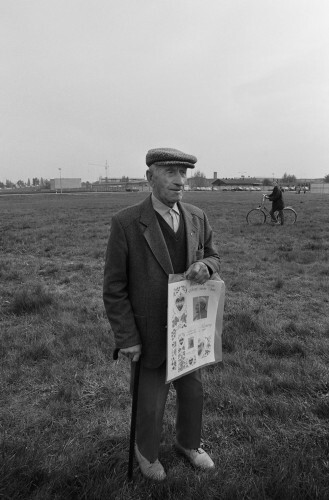 From the documentary photography point of view and visual observation, it is a stage and process of conjunction of realities that reflect the spiritual feeling of an individual, ontological relevancy to metaphysics, however did not shirk from the nature of human error and failings. 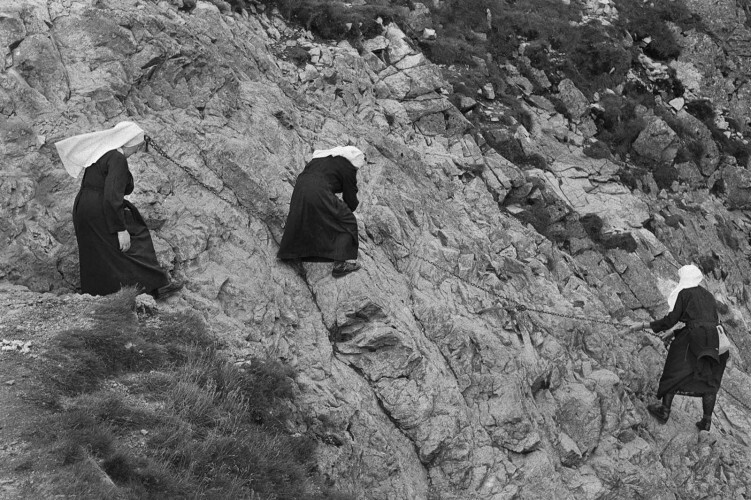 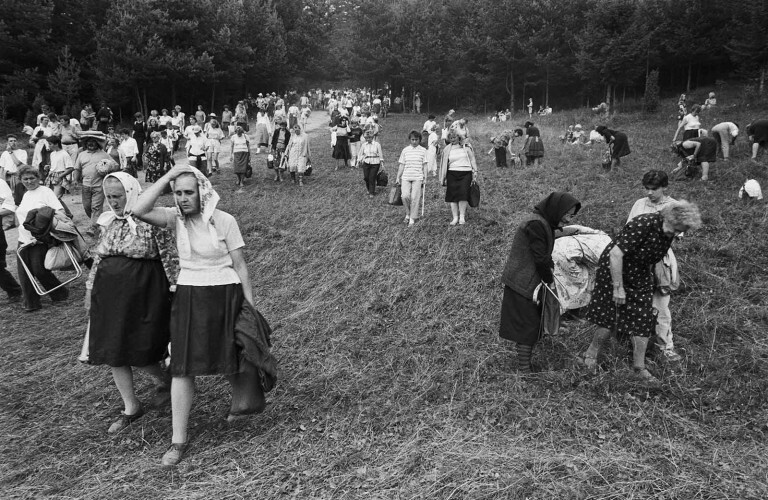 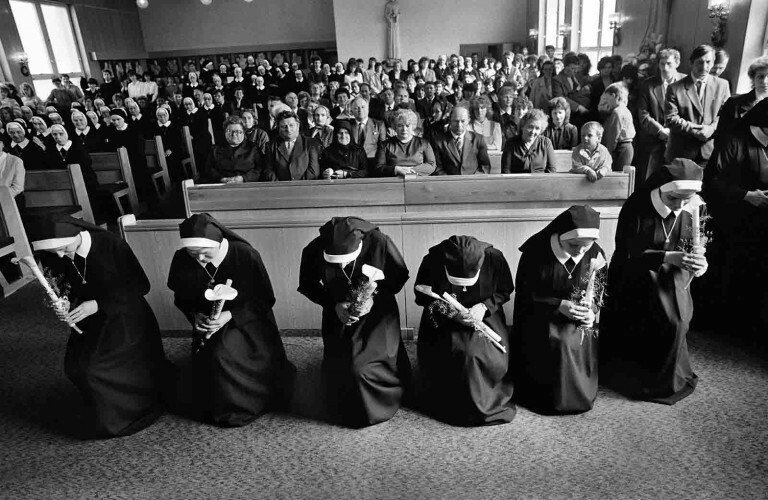 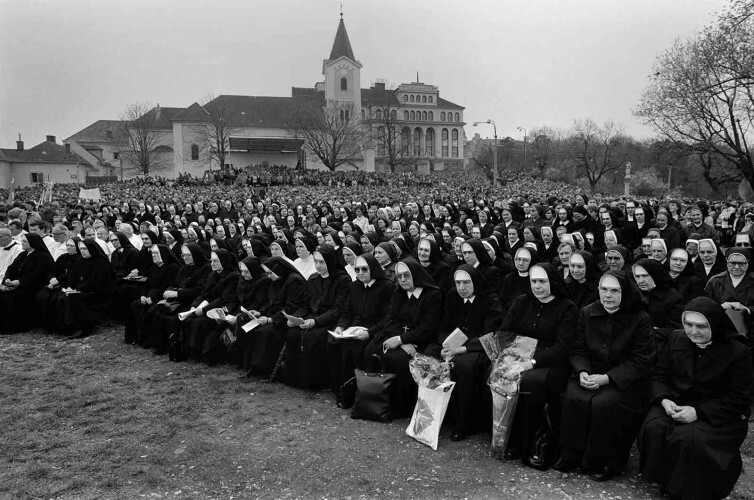 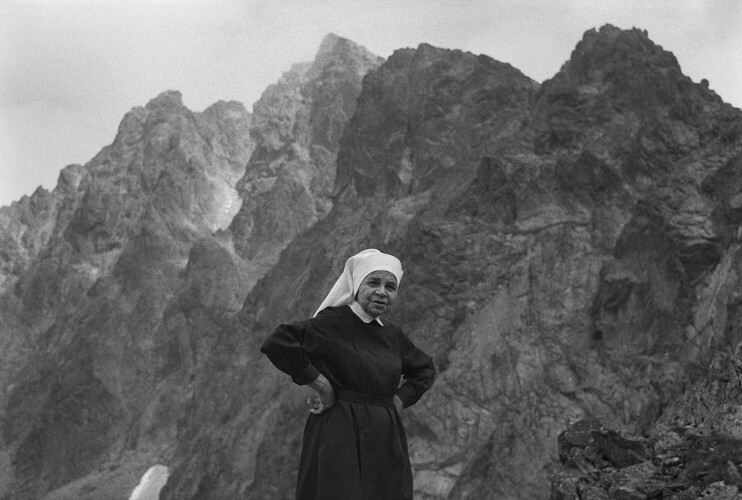 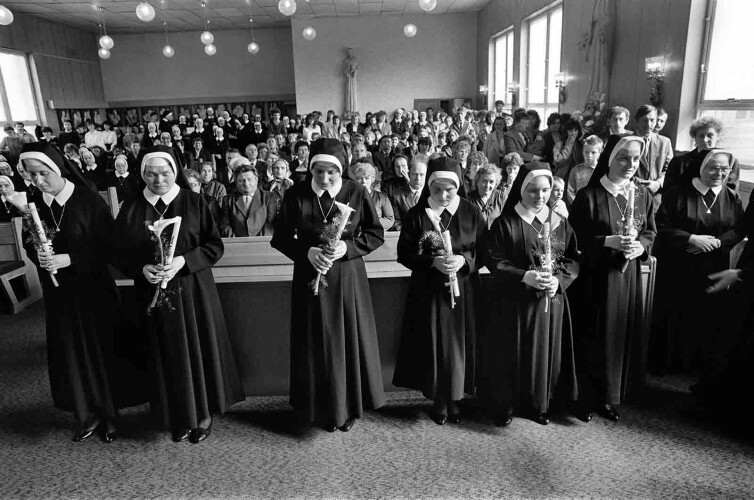 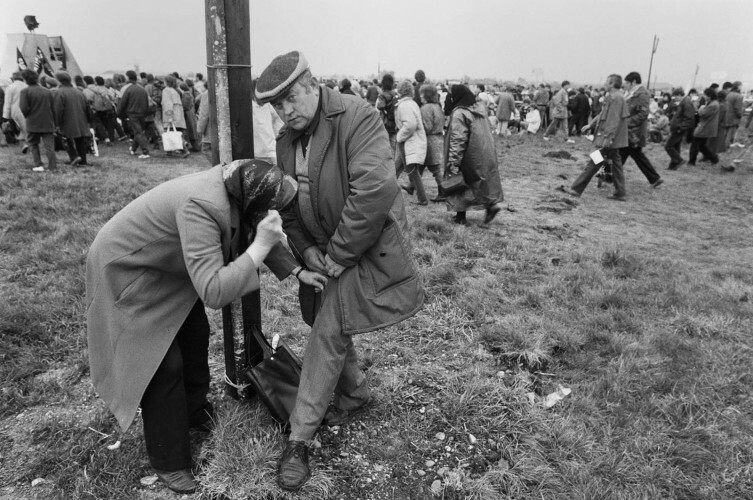 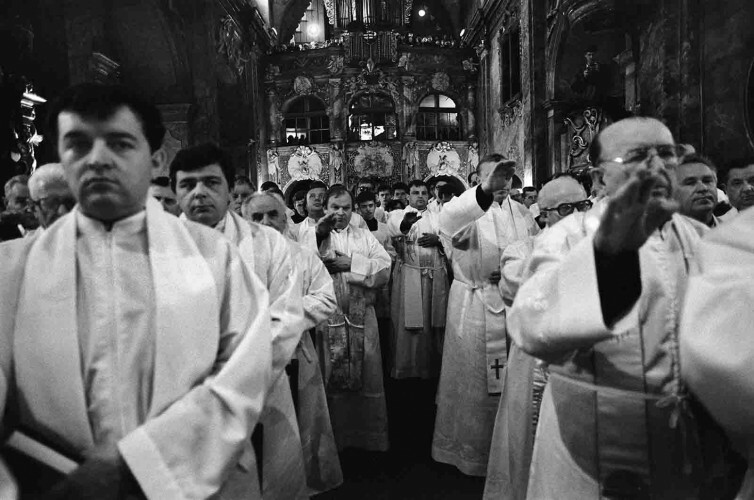 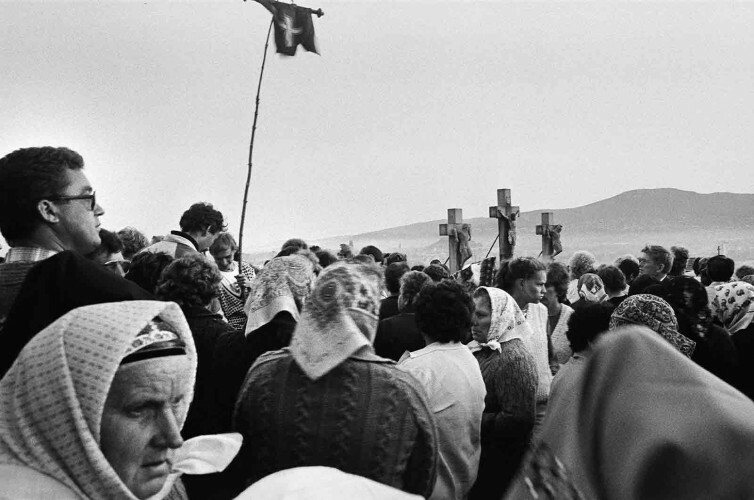 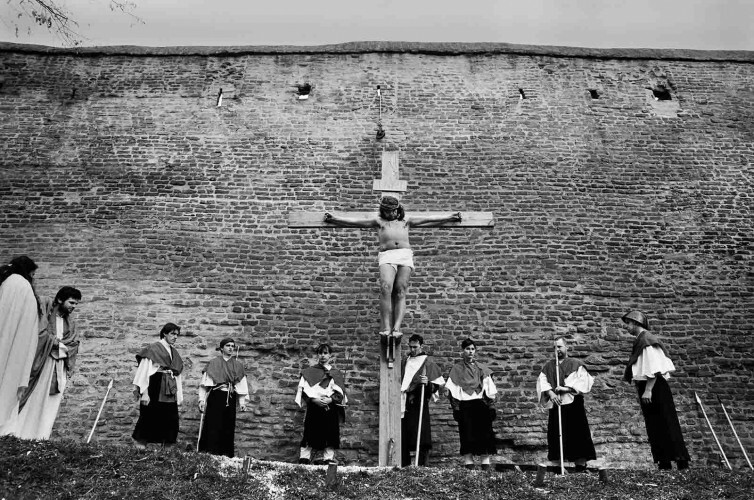 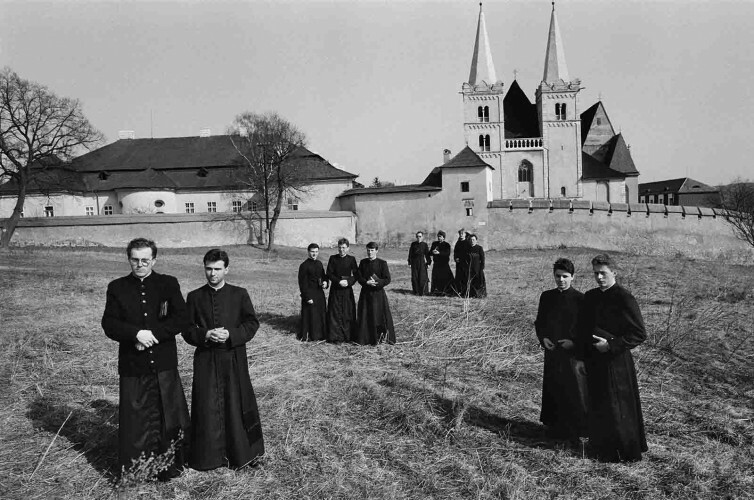 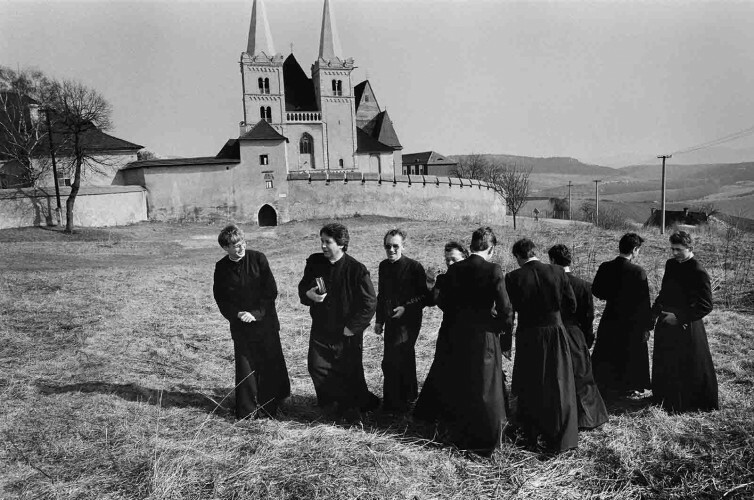 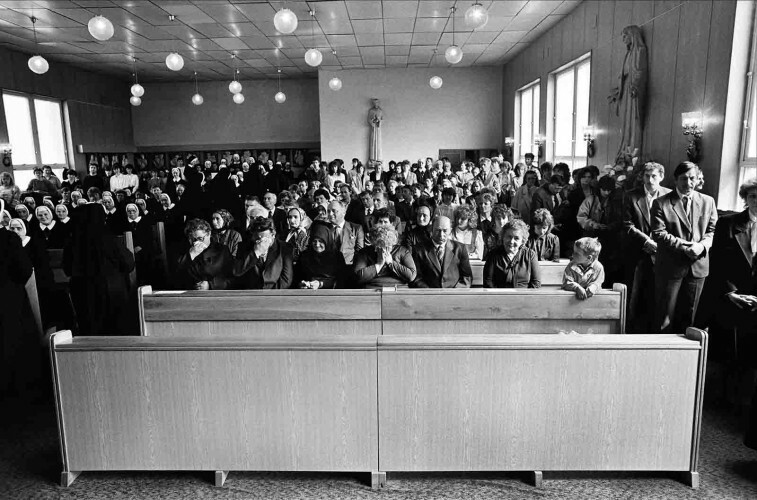 The photographic stories appear as morally and politically pure - the carnival at The Sisters of the Holy Cross parish (1982), the sequence of eternal promises of monastic sisters in Báč (1995), students? 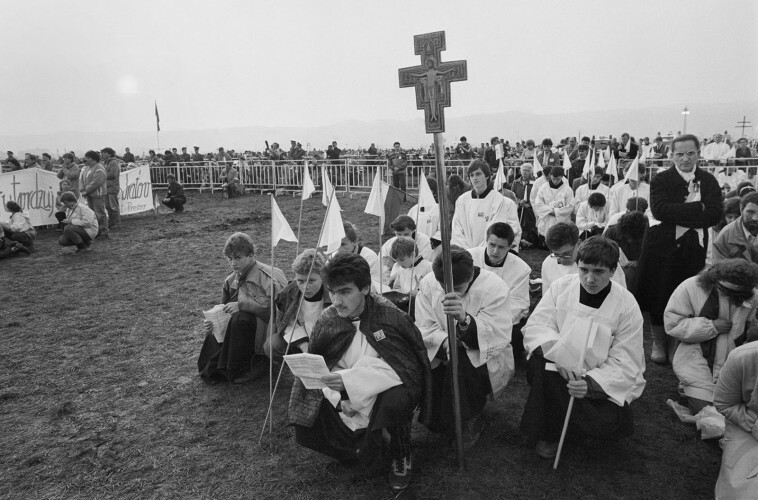 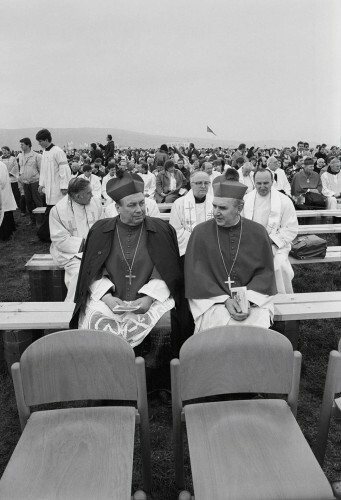 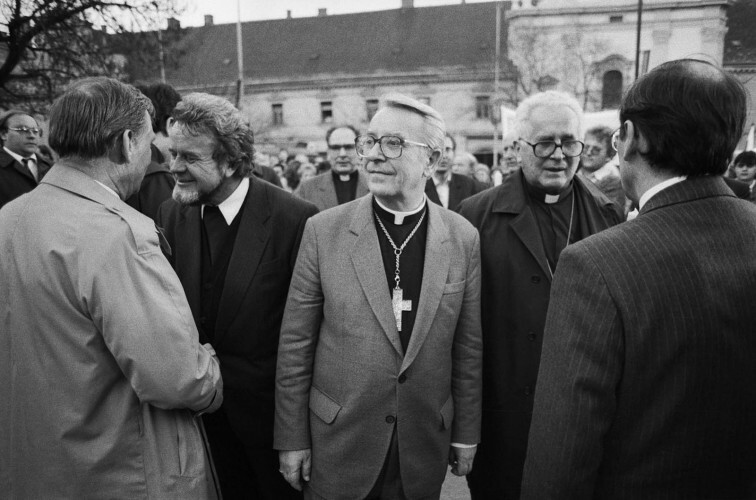 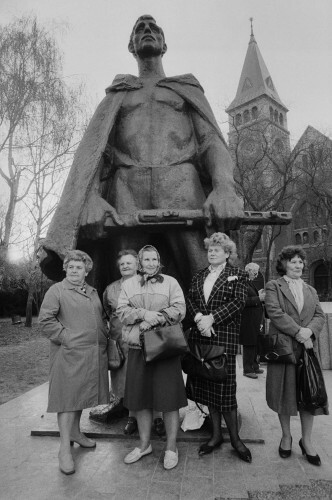 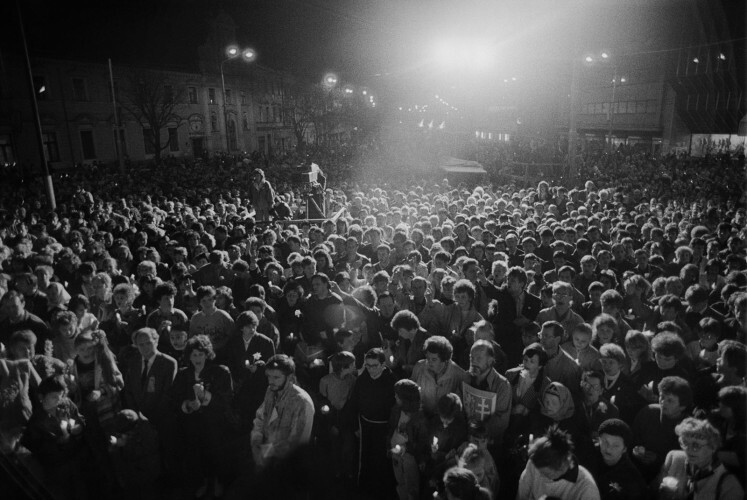 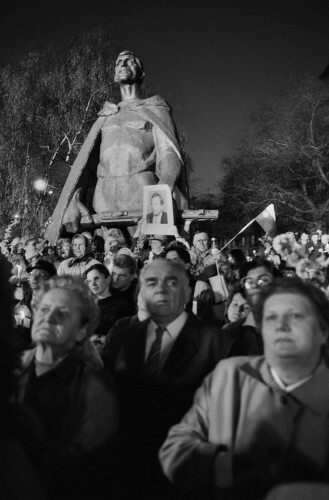 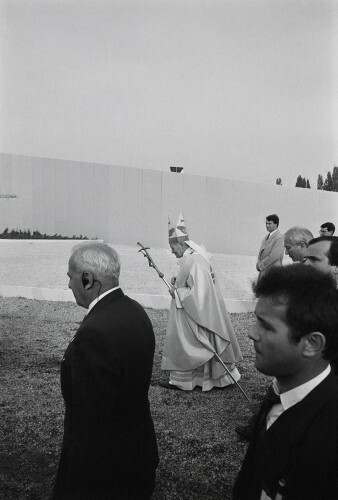 of theology day off in Spiš (1991), memorial ceremony of the Candle demonstration (1990), the installation of cardinal J. Ch. 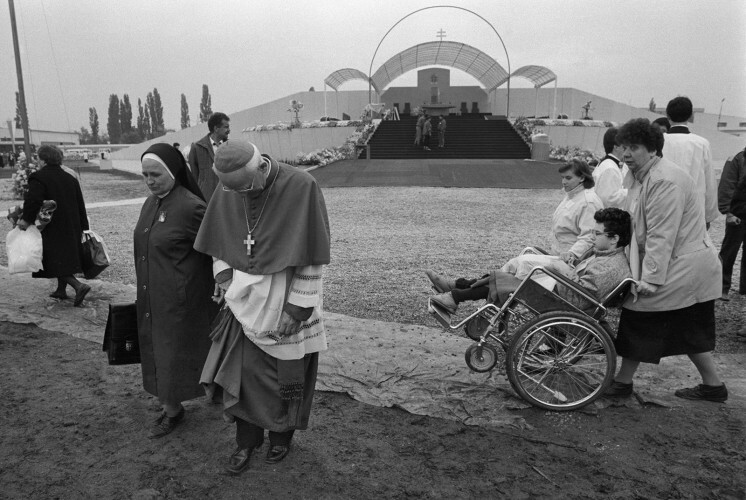 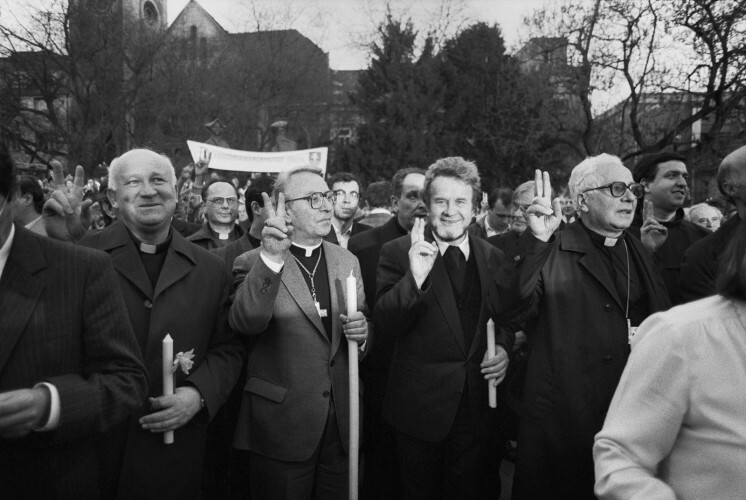 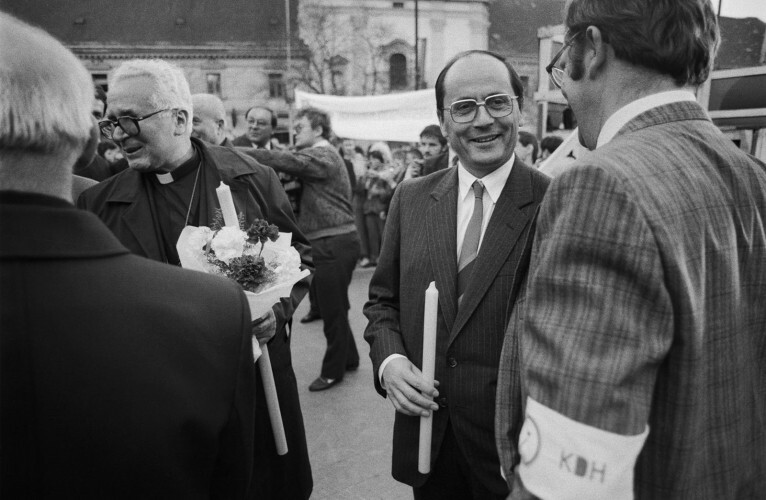 Korec as the bishop of Nitra (1991), and The pilgrimage of physically disabled to Čenstochová (1990).